No kidding! Mobile phones and tablets now have more than enough horsepower to decode most VOA Radiograms. 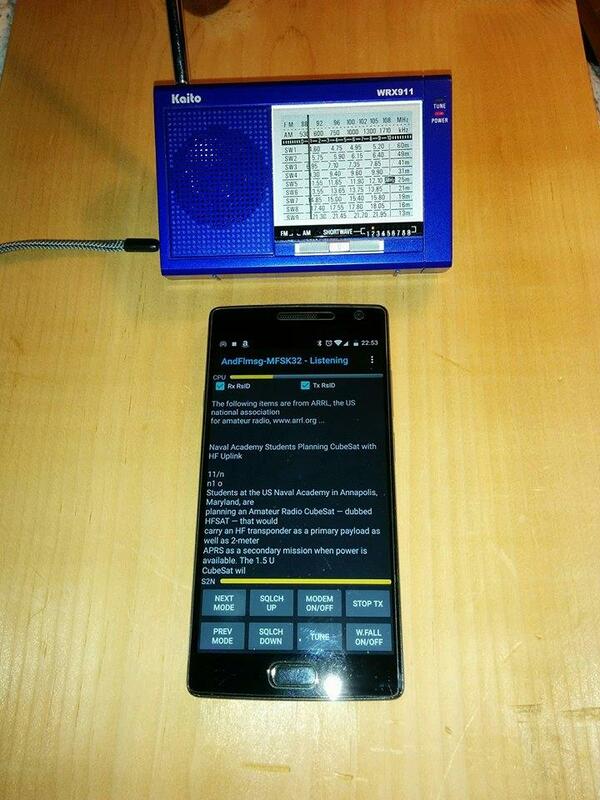 Nicholas uses the free AndFlmsg app for Android to decode. Note that AndFlmsg is not available in the Google Play store, you must manually install it using these directions. The Kaito WRX911 is an $18 US receiver and AndFlmsg is free. That’s a pretty inexpensive and accessible combo! Nicholas originally posted this image on Gary J. Cohen’s Shortwave Listeners Global. This entry was posted in Apps, Digital Modes, Ham Radio, News, Shortwave Radio and tagged Nicholas Pospishill, VOA Radiogram, VOA Radiogram App on November 8, 2016 by Thomas. 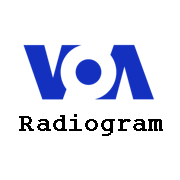 Want to develop a VOA Radiogram application? Are you an application developer? The RFQ and Statement of Work from the Broadcasting Board of Governors can be dowloaded by clicking here. Note that there is a very short deadline–September 26–to submit your proposal. Again, responses are due September 26, 2015! This entry was posted in Broadcasters, Digital Modes, International Broadcasting, News and tagged Kim Andrew Elliott, Kim Elliott, VOA Radiogram, VOA Radiogram App on September 18, 2015 by Thomas.